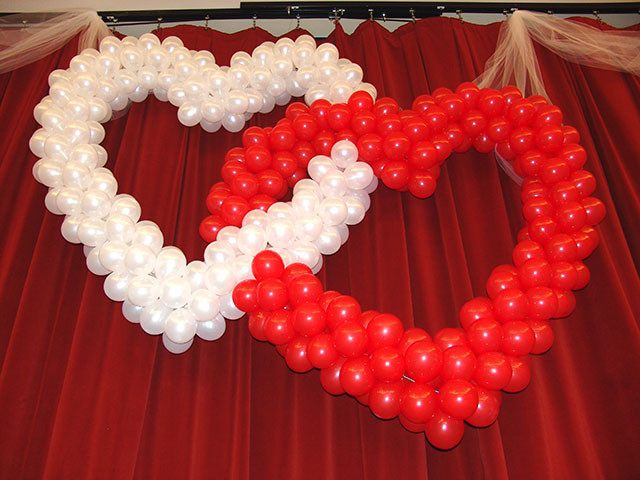 We are approaching the most popular time in the year for weddings. 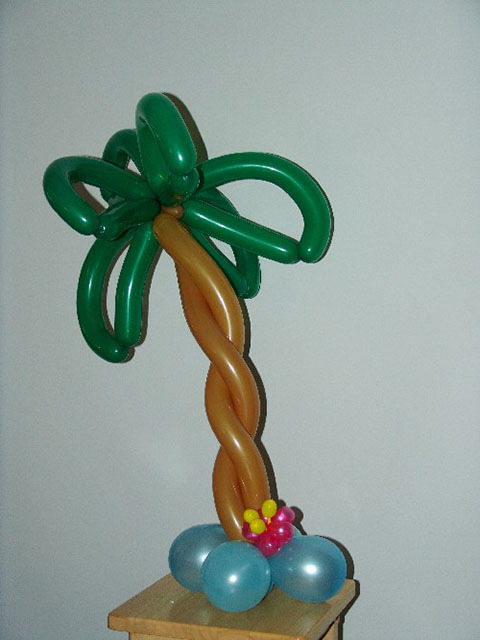 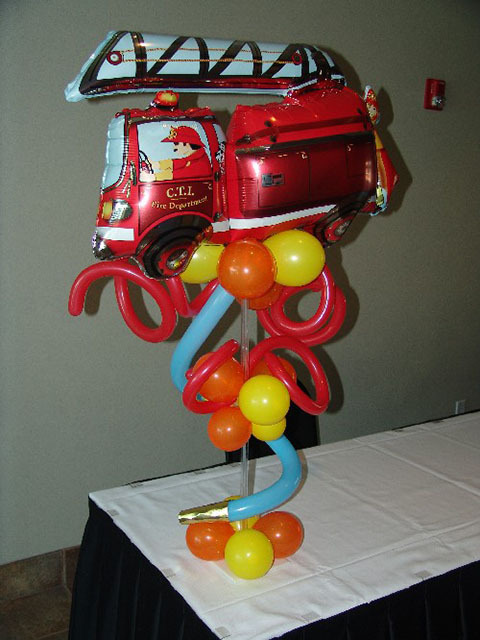 Balloons are a great way to decorate any atmosphere. 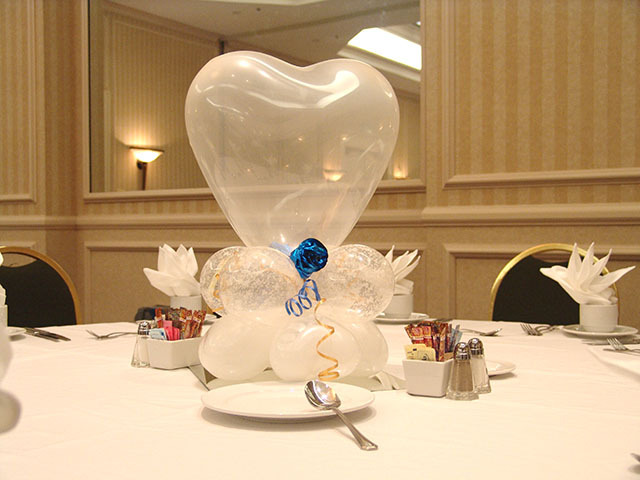 Here we used a deflated mylar balloon and twisted a rose out of it. 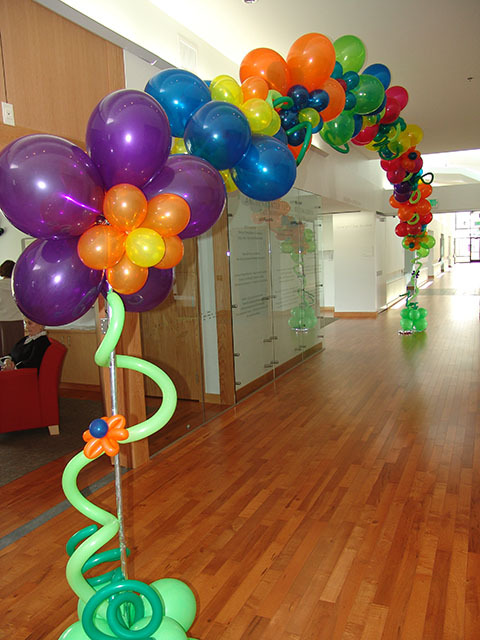 Here we feature a great custom balloon flower arch. 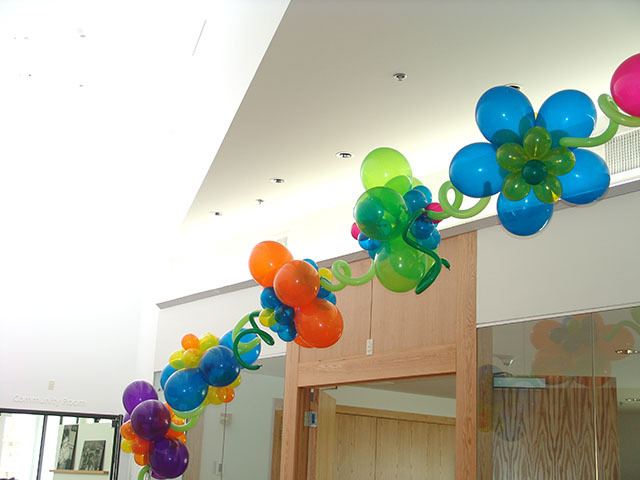 This arch can be made any length and is great for indoor or outdoor events. 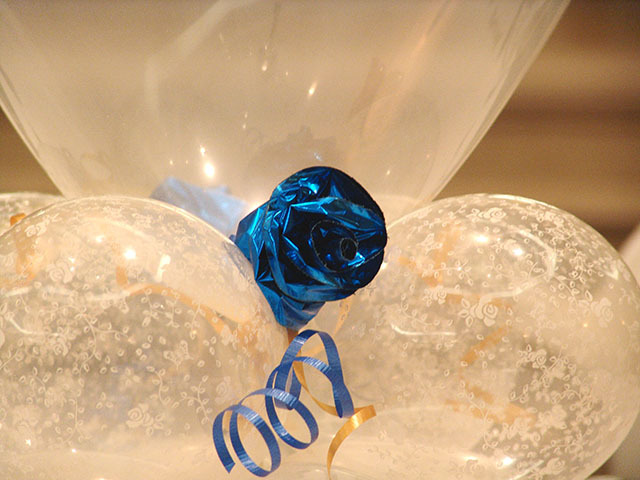 Most weddings we see that are decorated with balloons border on gawdy to ridiculous. 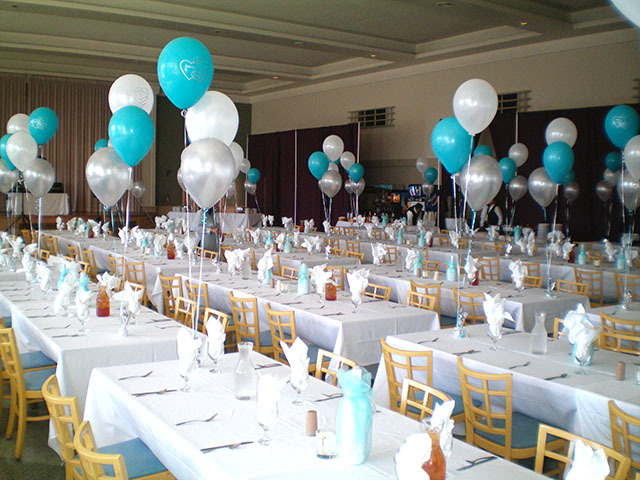 Here is a wedding reception that was clean simple and elegant. 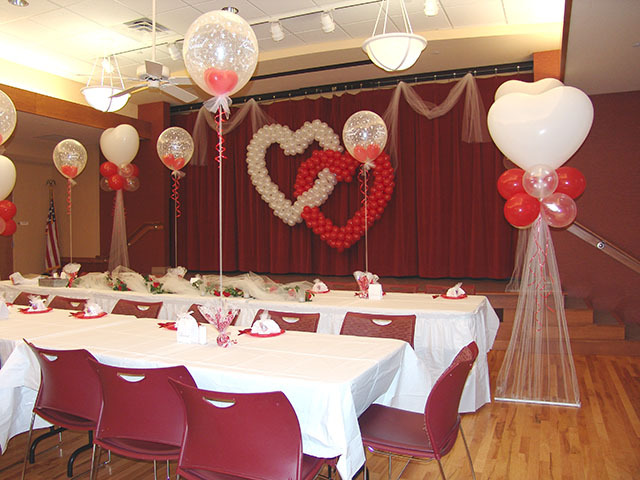 The intertwined hearts balloon sculpture was the main focal point and the tulle heart balloon columns framed the room. 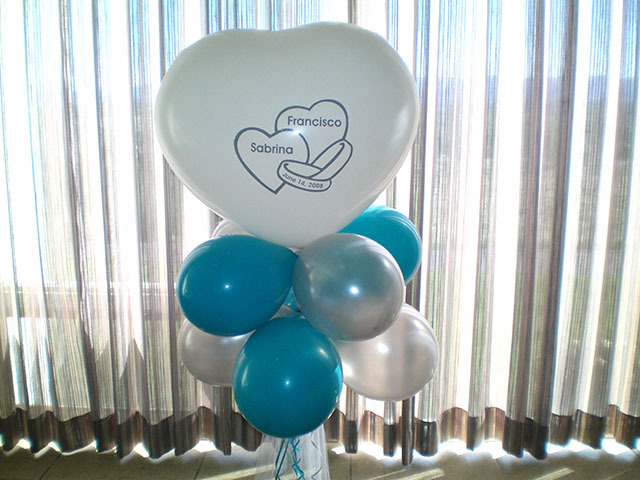 The balloon bouquets added flare on the tables througout the rest of the room.